Poland has once again drawn the ire of officials in Brussels after the EU and European media watchdogs took aim at the country's new media law, which critics say will restrict the independence and freedom of Polish broadcasters. Poland's Law and Justice party (PiS) used its parliamentary majority to usher through the new media reforms, which will allow Poland's treasury minister to replace senior broadcast officials at public media organizations, sparking fears that anyone who criticizes the government may be sacked and replaced. The bill must now be approved by the country's upper house and signed by the President for it to come into effect. In defense of the bill, PiS lawmaker Elzbieta Kruk said that the media in Poland must be more supportive of the country. "The public media are ignoring their mission towards the nation," she told parliament. "Instead of creating a media shield for the Polish national interest, journalists often sympathize with negative opinions about Poland." However media watchdogs have jumped on the Polish reforms, with Organization for Security and Co-operation in Europe (OSCE) Representative on Freedom of the Media Dunja Mijatovic saying that the measures could inhibit the independence of Polish media. "It is vital that public service broadcasters are guarded against any attempts of political or commercial influence. I fear the hastily introduced changes will endanger the basic conditions of independence, objectivity and impartiality of public service broadcasters," she said. Mijatovic noted that there had been "sharp criticism from civil society" over the media reforms, before urging the Polish government to "withdraw the proposal." A number of other media representatives joined in on the criticism, with the European Federation of Journalists (EFJ), European Broadcasting Union (EBU) and Reporters Without Borders (RSF) releasing a joint statement on the matter. The groups said they were "outraged by the proposed bill, hastily introduced… for immediate adoption, without any consultation, abolishing the existing safeguards for pluralism and independence of public service media governance in Poland." ​The statement said that the reforms would allow the government to "appoint and dismiss… the supervisory and management boards" of public broadcasters. 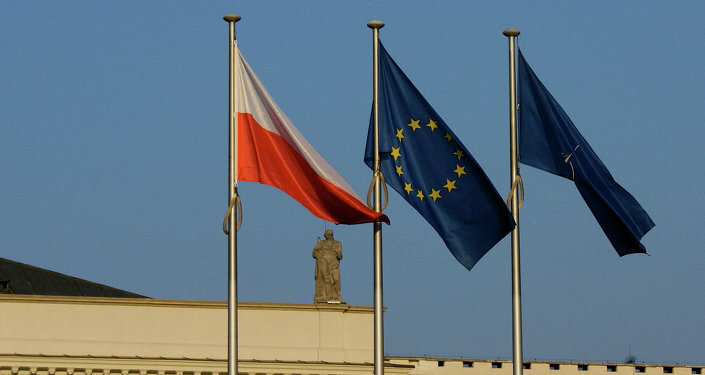 The controversy also sparked a reaction from the European Commission, with EC Vice President Frans Timmermans writing a letter to Polish ministers expressing concern over the reforms and demanding an explanation. "Freedom and pluralism of the media are crucial for a pluralist society in a member state respectful of the common values on which the union is founded," Timmermans wrote. Freedom and pluralism of the media crucial for society and rule of law. @TimmermansEU requests information from PL gvmt on draft media law. ​The incident is the second to spark a disagreement between Poland's Euroskeptic PiS and Brussels in recent times, following the party's efforts to curb the powers of the Constitutional Court when challenging government decisions. Critics say the laws could neutralize the country's Constitutional Court and set a dangerous precedent of power being given to the government. President of the European Parliament Martin Schulz compared the developments to a "coup d'etat," while Luxembourg's Foreign Minister Jean Asselborn said the developments were "reminiscent of the course taken by dictatorial regimes."